The Concentrator SVC100H is compact and includes a RH40-12 40 place rotor. 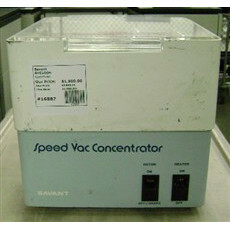 Savant Concentrator, new and used at LabX. Online auctions and classified ads for lab equipment.